14"l. x 16.5"w. x 6.5"h., weighs 1 lb., 2 oz. You're a hunter that's always on the move, and you need a Pack that that keeps up. The Horn Hunter® Fanny Pack is what you're looking for. The oversized Fanny Pack style has 2 large compartments to hold essentials and extra layers, yet still provides a streamlined profile for easy maneuverability. 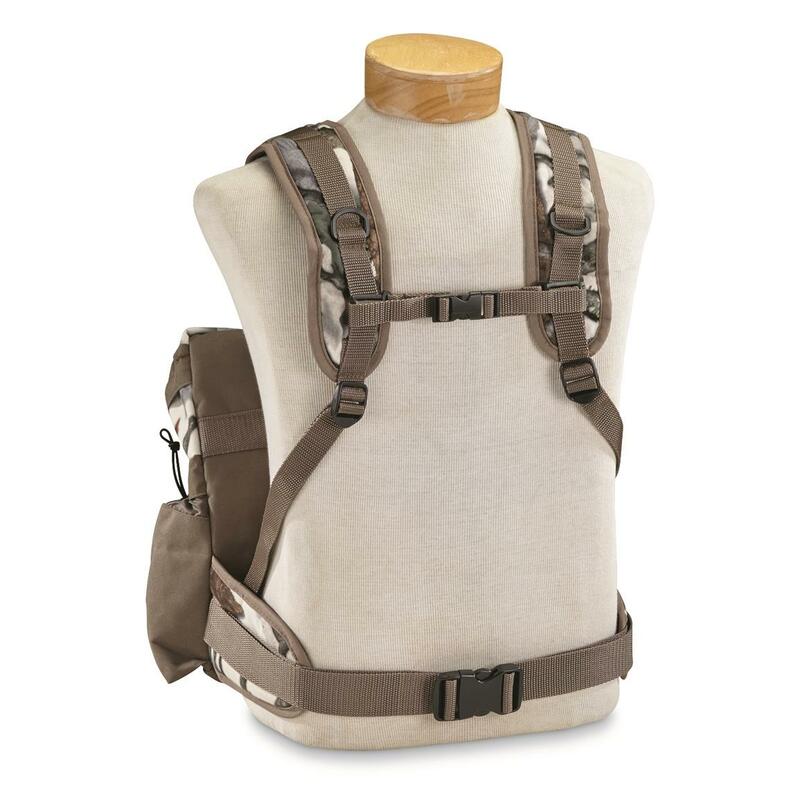 Comfortable shoulder straps help you carry the load while maneuvering downed trees. Plus extra exterior straps provide the perfect place to cinch down rattling antlers. 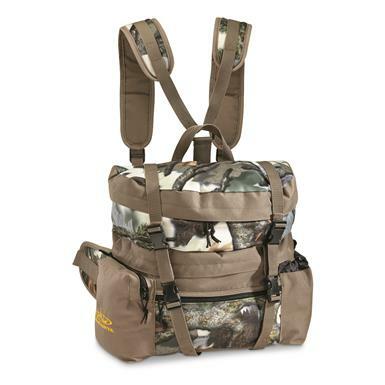 Dimensions: 14"l. x 16.5"w. x 6.5"h.
Horn Hunter Fanny Pack is rated 5.0 out of 5 by 2. Rated 5 out of 5 by Dave from Fantastic price, great price. Been looking at these, Fanny packs, for a while. Didn't want something that ended up small, or that I didn't like. For this price, the size, I figured that if I didn't like it, it wold make a good gift. once it got here, got stuffed with stuff, straps adjusted, I am keeping it.Great size, materiel can't be beat, quality zippers,[we all have gotten gear that was good until you used the zippers and they break] Like stated, this is m,y first pack like this, and once the shoulder straps are adjusted, it is very comfortable. Rated 5 out of 5 by Skookum from Good Pack Received this today and I'm pleased. Not too big or small. Perfect size for my daily gear while hunting as well as carrying the emergency kit. Can't beat it at this price.